Our business cards are printed on high quality 14 pt. High Gloss card stock. 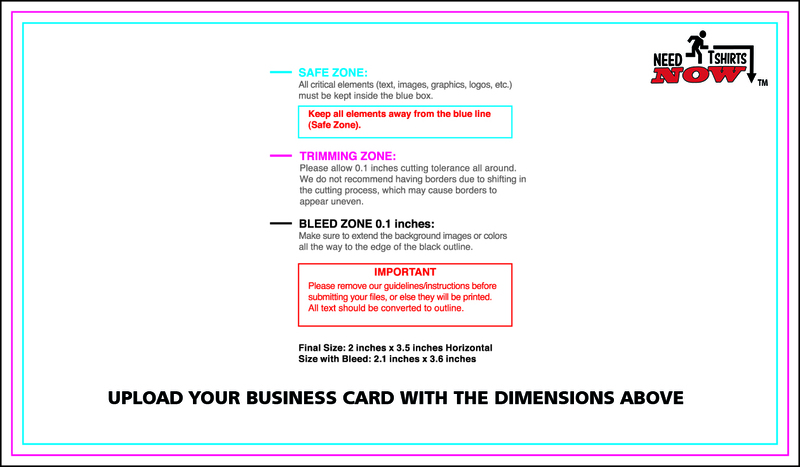 These cards are cut to the standard 2'' x 3.5'' business card size. No matter how you use your business cards, networking cards, appointment card or loyalty cards you can be certain they'll leave an impression. Here at Need T-shirts Now we want to offer our customers affordable products so we have priced in the front and the back of the business cards. That's right you can get the back of the business cards printed at no additional cost. Upload your JPG or PNG files. 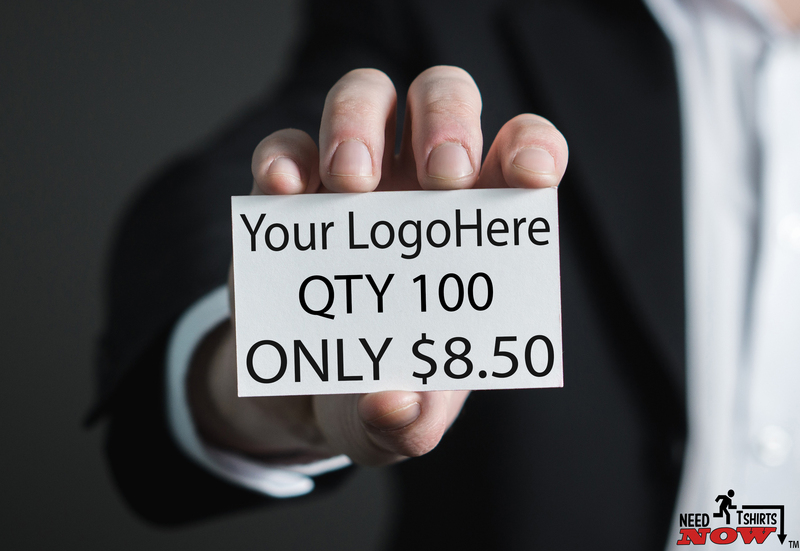 Use our Template below to design your business cards in photoshop. Make sure you Turn your Mode To CMYK. The Colors will be different if you use RGB. Make sure your images are inside the SAFE ZONE. Everything outside the safe zone is trim and Bleed Zone. The final size will be 2 inches by 3.5 inches. The size with the bleed should be 2.1 inches by 3.6 inches. To find out any information on how to design business cards click this link.